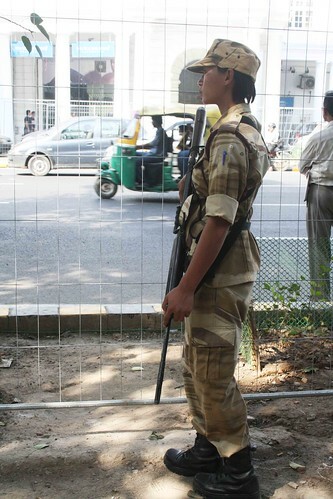 The Delhi Walla saw these young women in Connaught Place, Delhi’s premier shopping district. In army boots, fatigues and caps, they still looked slender and delicate. Cargo pockets on their khaki trousers and shoulder lapels on their shirts were commando-like. A ball-point pen was tucked into their shoulder pocket. Their fully packed ammunition belt and rolled sleeves gave them a battlefield zest. No girl was dressed like them. 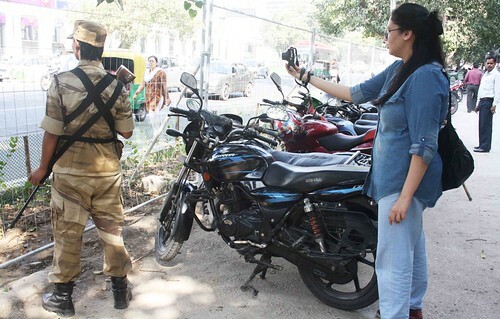 Of course, the military look is globally a big fashion trend and Delhi is fast catching up, but these women are not ruled by Anna Wintour’s dictates. 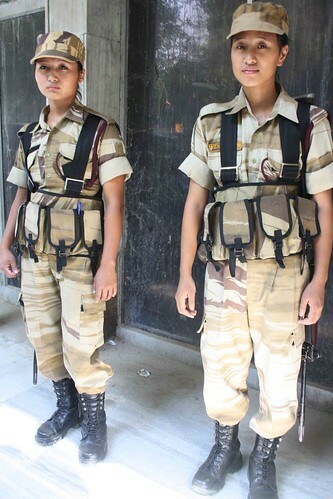 The fresh graduates of the first all-women battalion of northeast India’s Nagaland Police, they were in Delhi to provide special security to the 2010 Commonwealth Games. Between 18 and 25, these women are trained to handle weapons such as.303 rifles, AK-47s, 9-mm pistols and light machine guns. 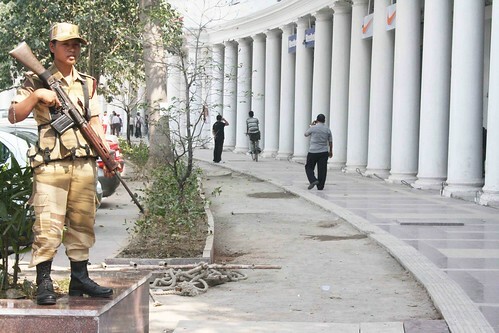 With semi-automated rifle in their arms, they had an alert eye for anything suspicious. 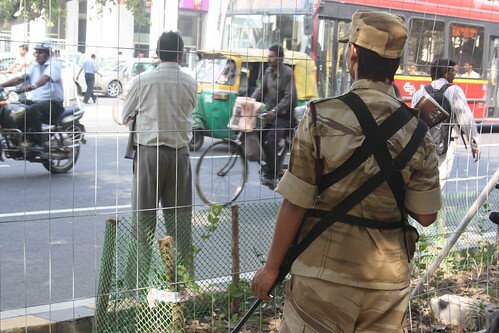 Delhiwallas looked at these armed women with awe. In Scindia House, Outer Circle, when I requested one of them to pose for the camera, she refused. I didn’t feel snubbed. Her voice was soft, her smile was sweet and the refusal was gentle. She was polite, but I knew that if there were to be a terror attack, I’d be safe. ma looked at the bunkers created near the stadias and said it looks like Srinagar on curfew days, however, definitely makes me feel safe and marvel at the preparation. Also, a lot of policewomen in the metro girls coach makes one feel far too important I say 🙂 not used to it much, I guess!